HomeFeatured ArticlesWill Jarrell Miller Make a Statement Saturday Night? This Saturday night live on HBO from New York is a pivotal fight for American heavyweight contender Jarrell “Big Baby” Miller. The undefeated Miller (20-0-1, 18 KOs) collides with Johann Duhaupas (37-4-0, 24 KOs) in a WBA title eliminator. Miller knows that an impressive victory will go a long way in cementing him as a legitimate heavyweight contender. He also understands a win means a potential shot at the unified heavyweight champion Anthony Joshua in the future. One important factor is he has weighed near a whopping 300 pounds for multiple fights in the past. This is an indicator that he may not have taken his training seriously. With a big money fight possibly looming in the future, he will need to show commitment to his craft by coming in at a respectable weight. Eliminators are the kind of fights where an impressive performance is warranted. 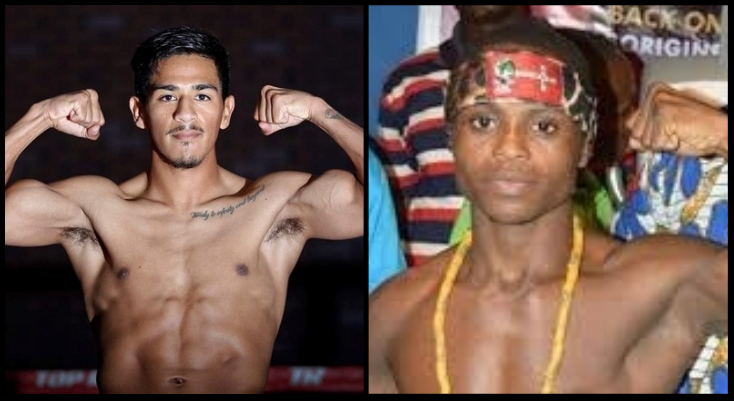 Both fighters have a point to prove and are expected to showcase themselves in order to increase their marketability. Can he elevate himself beyond the second tier heavyweights and solidify his place in a scarce but growing division? Will he prove to be nothing more than a flash in the pan who’ll be served to one of the top tier Heavyweights? We will see and know for sure come Saturday night.